Commuters in Houston are almost getting used to seeing giant industrial spools rolling down their highways. The most recent incident brings the total number of enormous spools coming off trucks in the Houston area up to 5 in less than 2 months. 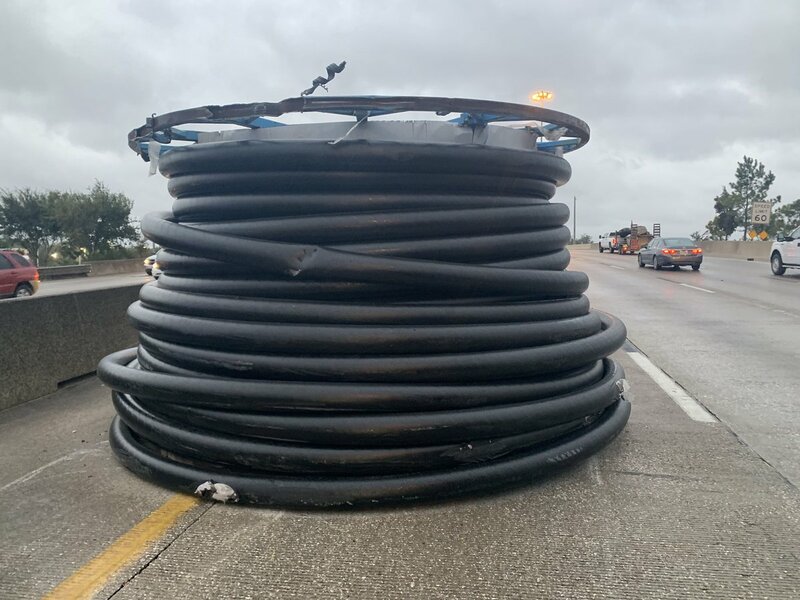 On October 25, drivers were able to swerve out of the way of a runaway spool on I-10 and Wayside. November 12th brought two spools onto the road at almost exactly the same spot. On December 7th, 610 joined in with its own spool. And finally on December 13th, the North Beltway near West Little York saw the last spool (for now). According to Sgt. Chapel Love with the Houston Police Department’s Truck Enforcement Unit, the issue is improperly secured loads. As a result of the incidents, HPD is stepping up enforcement. Officers are pulling over trucks with oversized loads to check to make sure they’ve been permitted properly and have properly secured their loads. They’re also measuring the height of loads to make sure they meet clearance requirements for area bridges. But it doesn’t just stop with the inspection. If a truck is found to be in violation, HPD plans to issue a “compliance review” for the whole company. 32 comments. Add a comment. 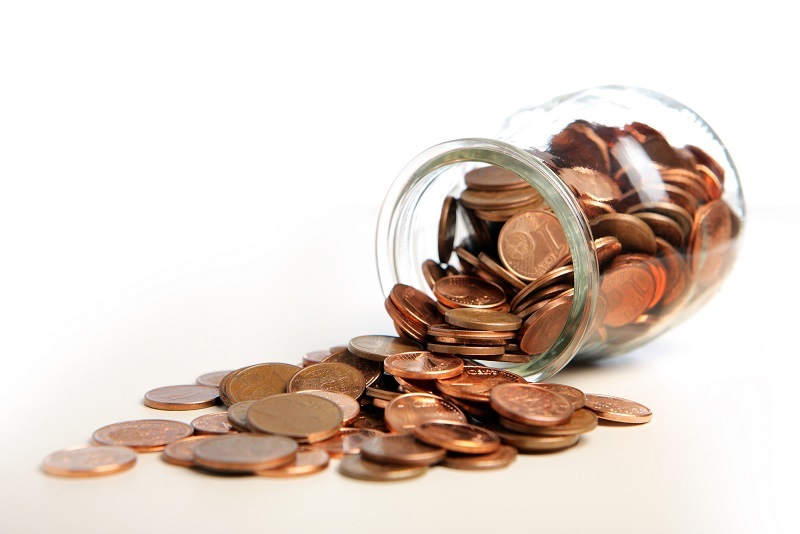 “…do an internal audit”….. anything to get their hands in your pockets. Write the driver a ticket and mush on…. You going to have the same attitude when one falls off and kills someone or a innocent child? Sounds like new school attitude to me not taking this as serious as it is. So potentially killing someone isn’t a good enough excuse? What an idiot you are? If you are a driver and you don’t secure your load properly, you deserve to get a huge fine. Because if you kill one of my family, you’re going to find your self in a court room, and you will pay out far more for the loss of life or serious injury you have just caused for your own stupidity/ laziness. Take in account what and where you are dealing with. The ship channel and all the industrials on that east side. And who are most likely driving these? As you might expect, foreign and rookie. drivers! Can’t be too many companies hauling those spools. I would start by looking at them. If you drive a flatbed, you get spools. Personally, they scare the crap out of me, so I definitely overdo the bindings. My rule for “normal” loads is to equal the weight of the load in bindings. The law says half. Screw that, it could mean my life. Perhaps there is a chain shortage in Texas . . . Just sayin’. Seems like lazy or not trained drivers. It’s all becaus of the rush. First they keep you loading forever, than your receiving only works till noon. This industry is deeply messed up. And there is too mamy trucks on the road too, so it’s a fight for loads, than nobody can get all the info they should before they have to jump on the load. Result is a driver trying to make up for some of this ignorance and incompetence. One less chain, 5 min. saved. And yes, this 5 min. is often needed. It’s a drivers fault, but it’s because of the circumstances this job imposes on him. Then the driver needs to measure the rolls before they are loaded. Driver responsibility period! This is gross negligence on the driver. Secure the load properly! These drivers need to be taken off the road plain and simple and be retrained if possible. Just be lucky it isn’t one of those rolled steel spools where 1 is the maximum capacity of a flatbed trailer. Just because it might be smaller doesn’t guarantee you won’t be just as dead if you get tangled up with one. You can see these coils of steel on the median on 695 in Baltimore Md. coming out of the mill.. There is a sharp turn in the beltway and the trucks will often come into it too fast and loose the coil or lay the truck over..
I’m glad there was no one on a motorcycle behind these imbeciles! There will be deaths associated with this kind of incompetence; it’s just a matter of time. And yes, the trucking company is directly responsible for hiring incompetent drivers and sending them down the road without the proper training. A responsible carrier would never allow this to happen. Drivers are being lazy about securement. I have seen only straps on these spools, and the same on steel coils. Don’t be afraid to chain is what I was taught. I see a lot of loads with straps that should have chains, also see a lot of loads going down the road with loose straps/chains. I quit trying to get drivers attention cuz they either ignore ya or flip ya off, no one uses CB radius anymore. 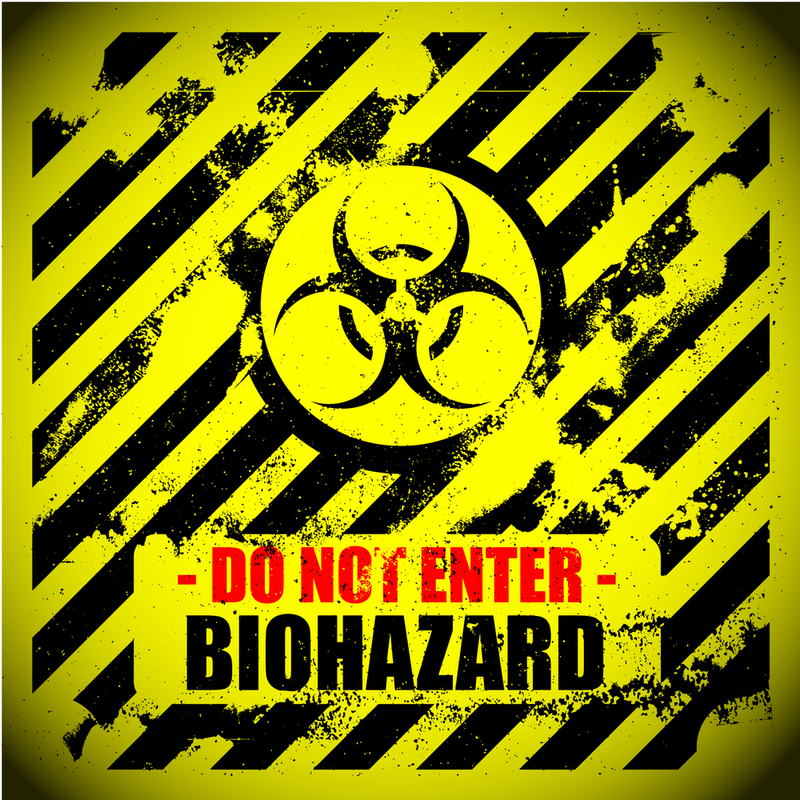 Just try to stay the hell away from them. Saw a Knight truck hauling stacked container chassis’s, rear chain was actually flopping around and dragging on the ground and front chain not much better. Did get his attention and he pulled over. I guess he got them tightened. Next time I see a load that poorly secured, just going to call highway patrol. Screw ‘em. If it is the same company where the spools are coming from, seems pretty simple to fix. Sounds like a bit of edumication is in order for these dumb aces. May not just be the drivers that need the training, the load operators and shipping managers as well. Who is loading or hauling flatbed loads in Houston who doesn’t know that something loaded on a spool needs to be braced in somehow and one way or another tied down by either straps or chains??? Your also supposed to get out and check that the load is still secure within the first miles and then check again periodically throughout the trip. For me, when I have hauled loads like this, a simple rule of thumb, whenever I stop to eat, go to the bathroom, get fuel, whatever the reason, I walked around the trailer and made sure things were still in place and tight. One time, I nearly flipped my trailer in my own yard, 8 inches thick ice at the entrance to the lot…needless to say, the trailer slid off and went down into the ditch. I was loaded down with 40Klbs of forklifts. Even though the trailer was tipping at a precarious angle (the landing gear managed to keep it from going all the way over), all the machines stayed put and once I was pulled up out of the ditch, I delivered the load without a claim. That is a true test of your ability to secure a load and I was never more relieved to have passed it. The trailer was fine too…the only thing damaged was my safety record of never having gone off the road and a bit of my pride. But, that is ok. I was hauling two rolls of copper sheet metal years ago in my dry van . I hauled it from Pittsburg , Pa. to New Bedford ,Ma. Coming across I 84 at some point on that ultra smooth highway , the front roll broke loose of the wedges and blocks and all the other stuff they had blocking it in . I pulled into a truckstop to get something to eat and camp out for the night . When I arose in the A.M. I checked the truck before I had my coffee and thats when I noticed the trailer listing a bit. Called into dispatch and they got a company to me that slid it to center , re shored it and said that will be 500 big ones . Paid with a comcheck ,said good by and made my delivery . I still today can see how it broke loose with all the shoreing they did to prevent it from moving . A lot of flatbed drivers are taking to many risk out there by not probably securing there loads . Had a driver drop a roll of carbon steal in front of me a year agoe in Pennsylvania almost killed me and the driver kept going and still today know one knows who was hauling it or where it came from . A dangerous situation . Why is the driver or drivers not sited or the company . The scores are rising and they slip through. They need to brush up and abide with the fmcsa rules and regulations. Securing loads properly. Fortunate no one has been hurt yet. When you pull a platform trailer of any kind you can’t rush securement in any surcemenstance, and you can’t be lazy. Either one of these will bring disaster eventually. If you are in that big of a hurry or that lazy you need to pull a box type trailer. And it seems to be unknown to a lot of people that securement laws apply to all kinds of trailer just as length, kingpin, and other laws apply to all. How many of you pulling a van or reefer have studied securement laws. I’ve seen several with machines etc.sticking thru the front of a trailer at a stop light that should have studied securement. Where did the article state how much experience the driver had?more than likely some 70 year old who should have retired years ago and has gotten in such poor physical condition that he has to fish a strap through the spool with a stick because he can no longer throw it,clibing onto the trailer to chock anything is out of the question and thinks he knows everything because he’s been driving for 60 years and has become complacent about safety.every time anything happens these know it all has been come out of the wood work talking about these trifling whipper snappers and all this when half of them have no business behind the wheel because God only knows what all kinds of waivers and doctors notes its taken for them to get through the past ten physicals if they didn’t forge it all together and in reality should have aged out of the industry in the 80s but didn’t because they made too many poor financial decisions and can’t and we end up with articles like this followed by stupid comments full of speculation and conjecture by the “know it alls” who have 80 years experience and that’s ALL they have. Driving with oxogen,diapers,coke bottle glasses,heart conditions and morbidly obese is unsafe regardless of how many years experience you have. Instead of criticism how about passing on some of this knowledge to these youngsters who were probably not trained properly by the conglomerates?you’d be surprised by how many will thank you and genuinely appreciate it. If you’re really concerned about safety throughout the industry. Otherwise keep doing what you’re doing. And take your heart pills and breathing treatments!! There is really no excuse. Even the head of the school in the truck company I joined trained on load securement in the school I tended (not their school). If you can’t teach people how to secure a coil or how to secure their flatbed properly, outsource it. Of all the types of hauling, flatbed (and rolltite) require proper training and no excuses. Ever.